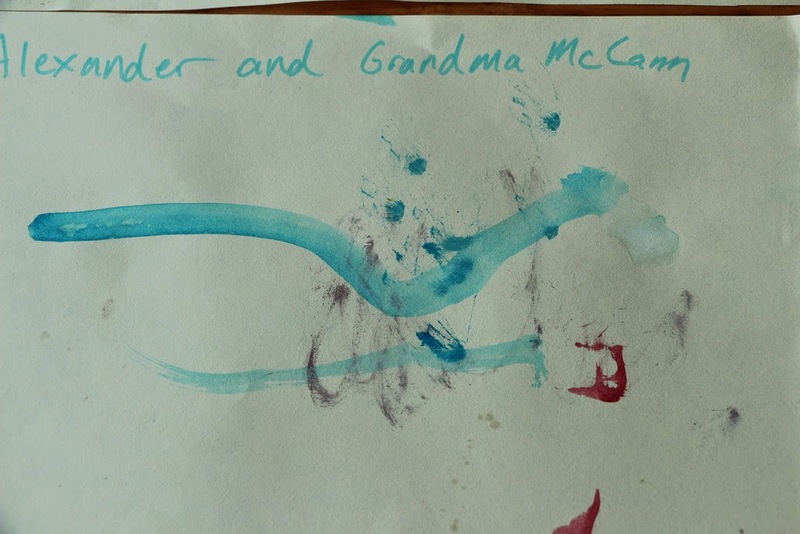 Kids Corner: Happy Mother's Day! The boys worked hard on Mather's Day gifts for all their grandmas. 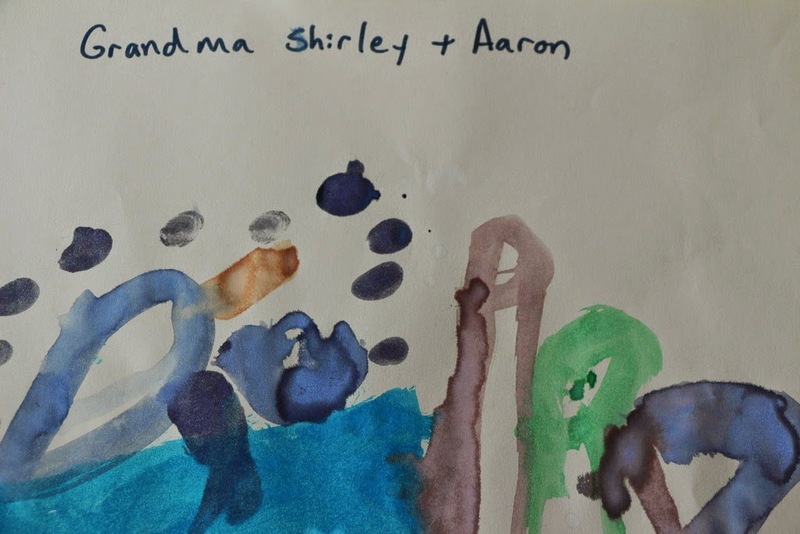 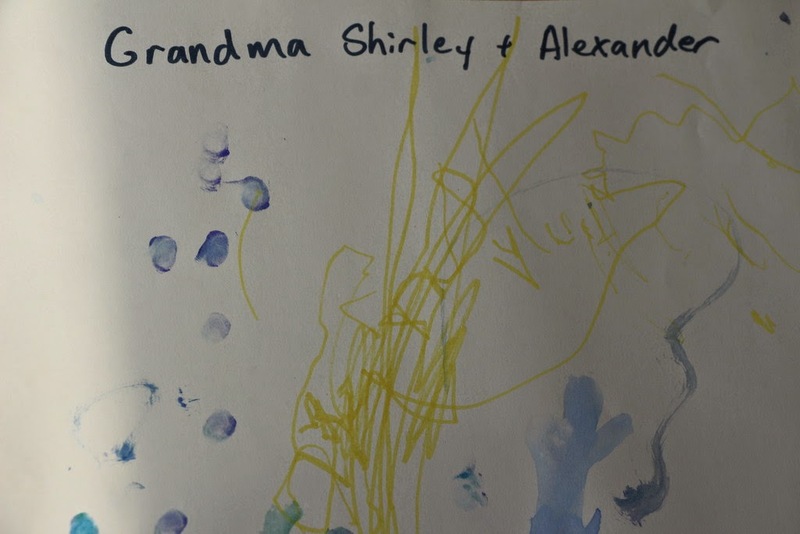 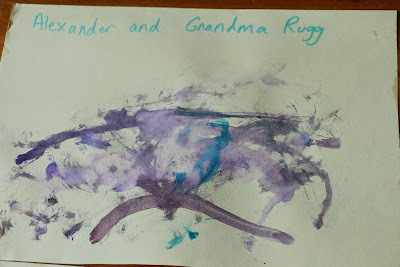 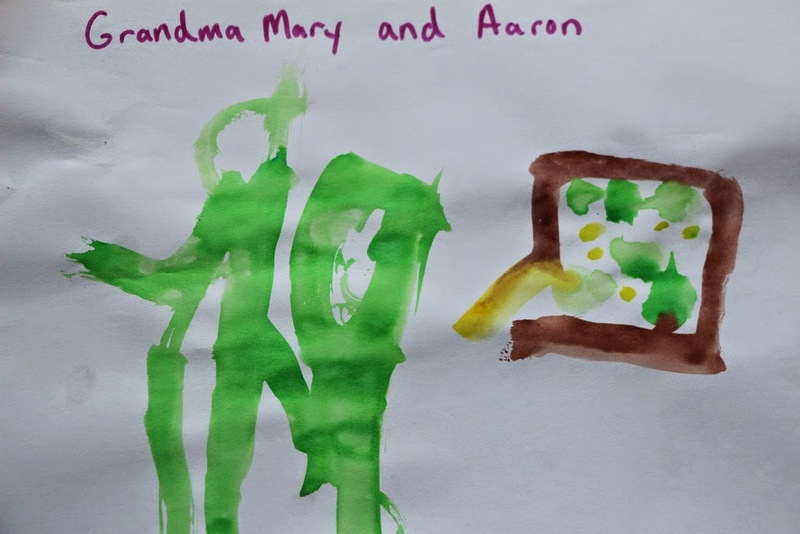 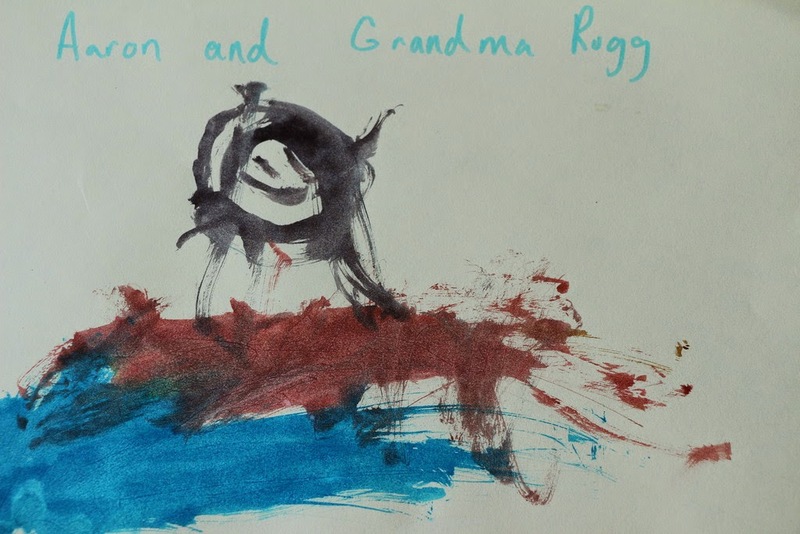 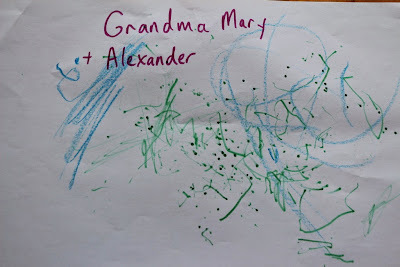 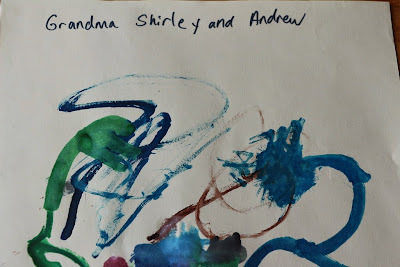 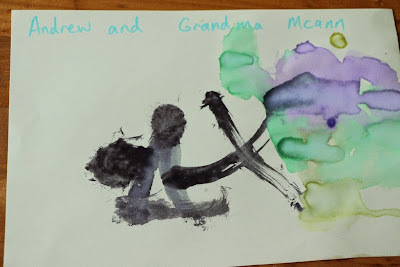 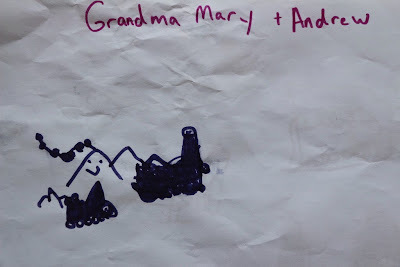 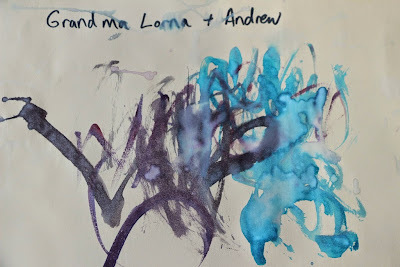 They each drew or painted themselves with each grandma doing something fun. 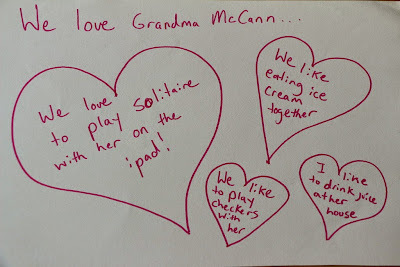 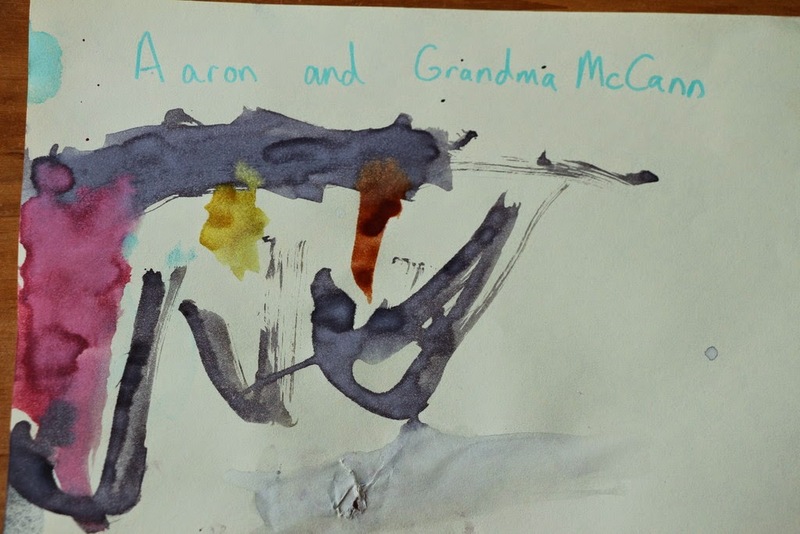 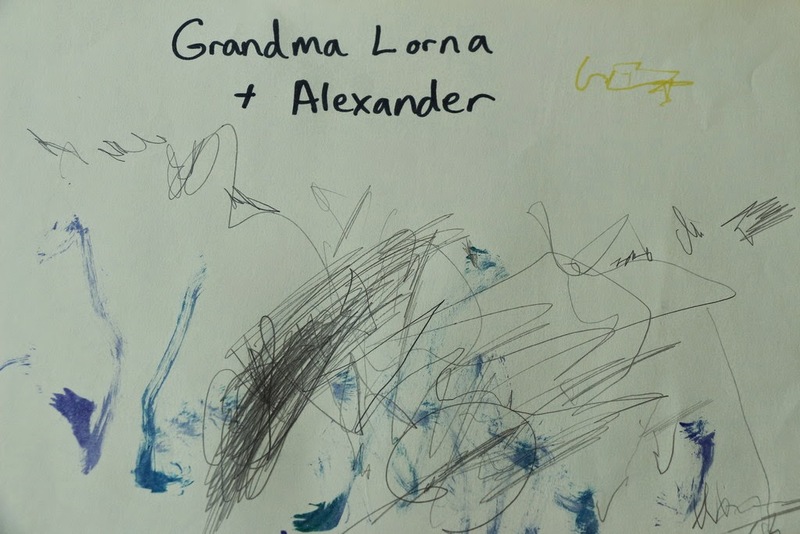 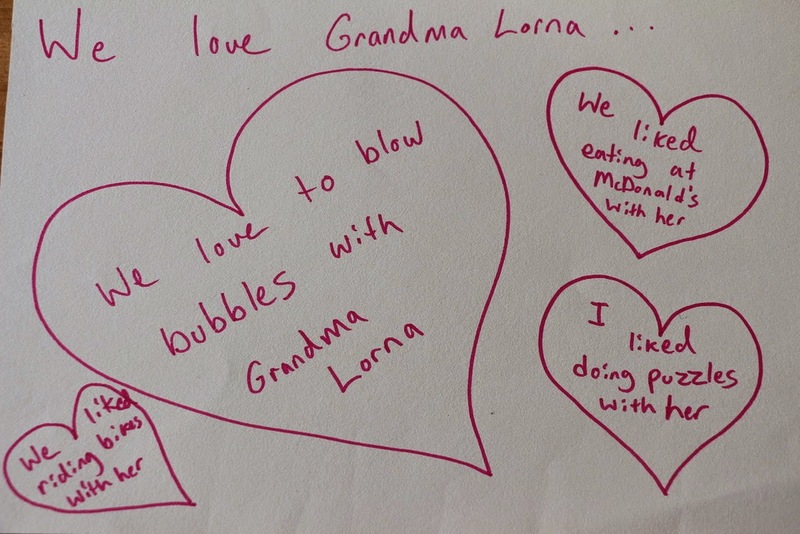 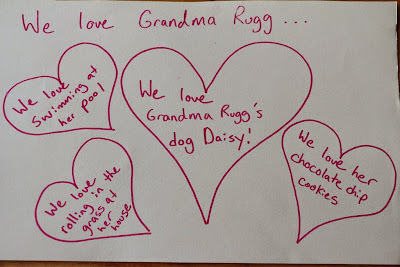 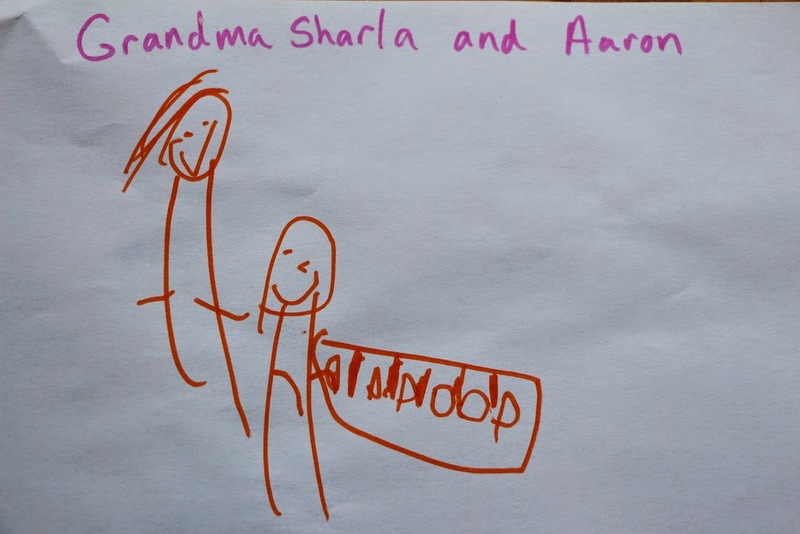 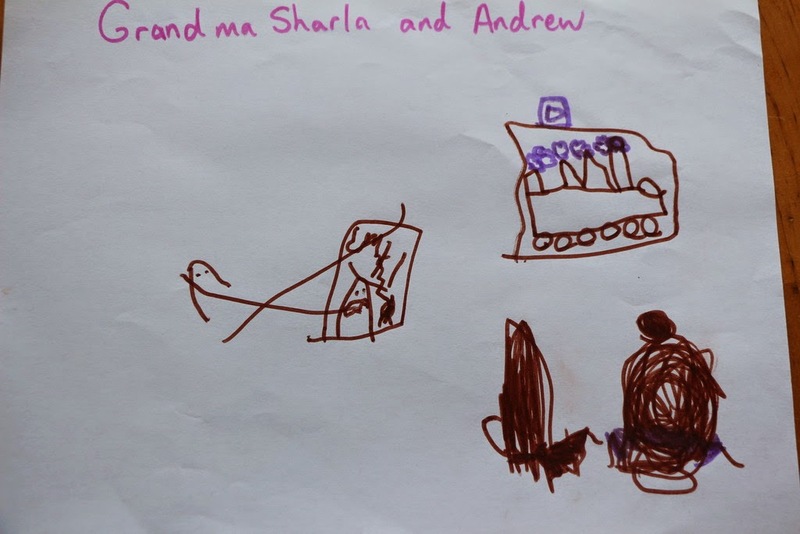 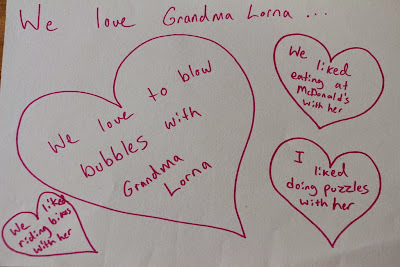 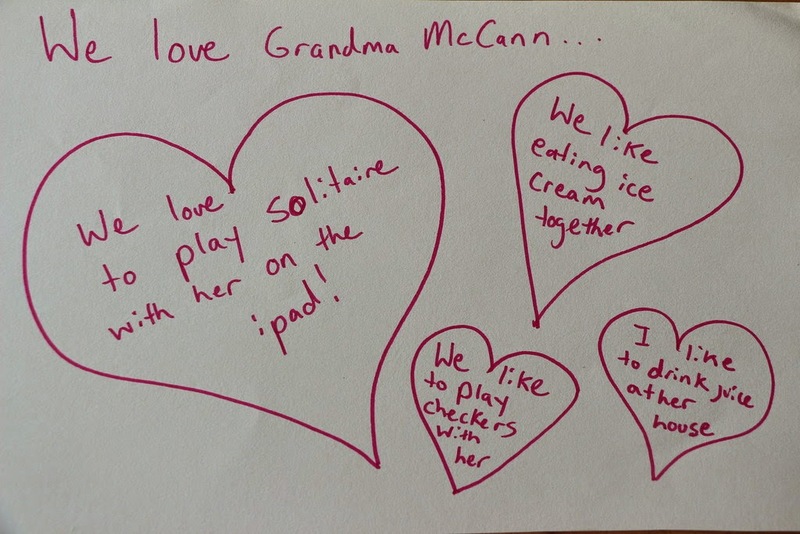 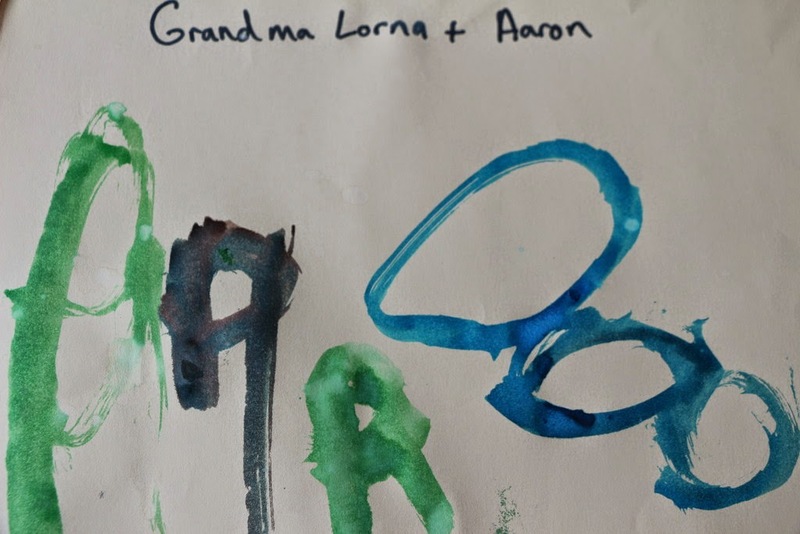 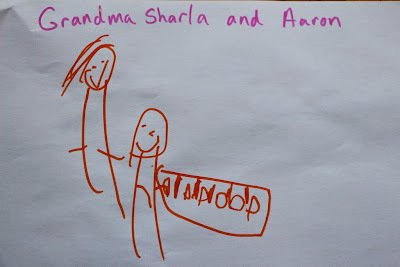 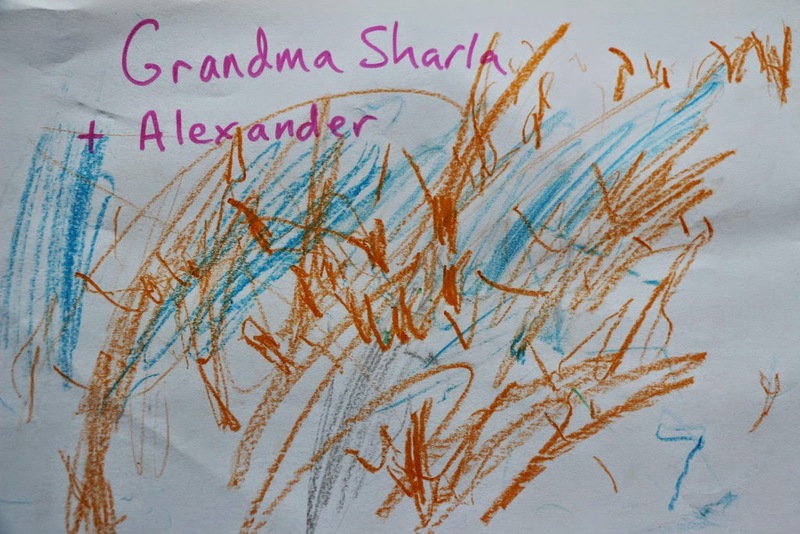 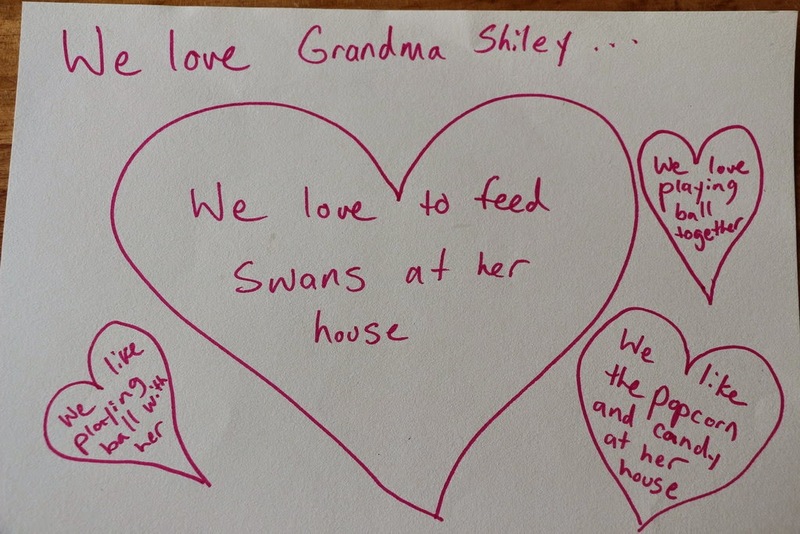 We asked the boys to tell us things they love about each Grandma. 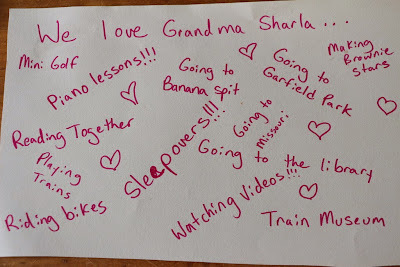 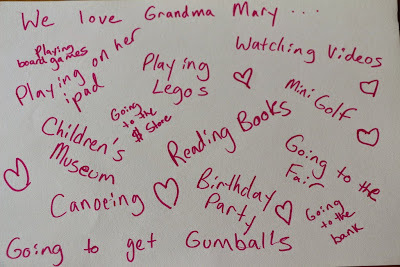 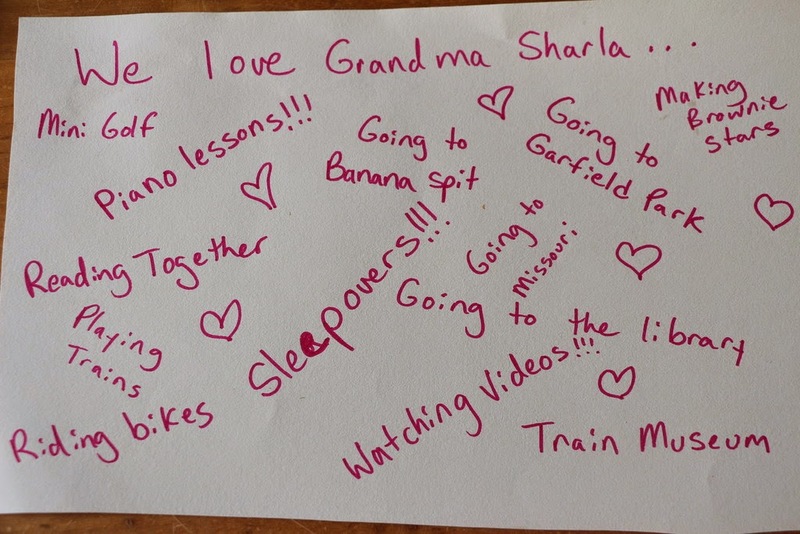 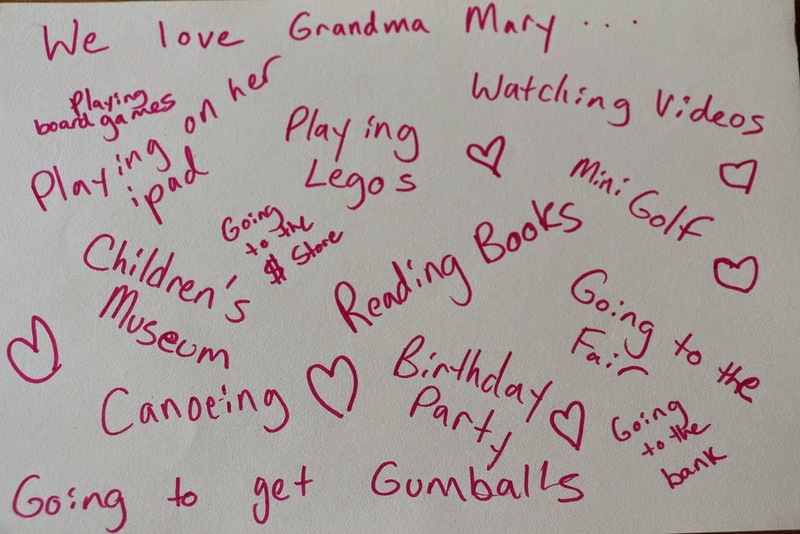 They kept listing things they love to do with each Grandma, so we just went with that. 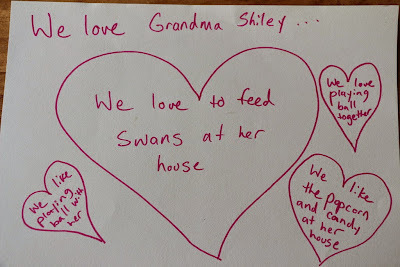 They're answers are pretty cute. 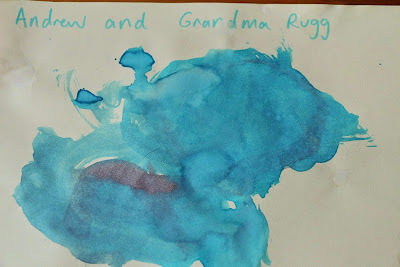 because there had to be a dragon in there somewhere! 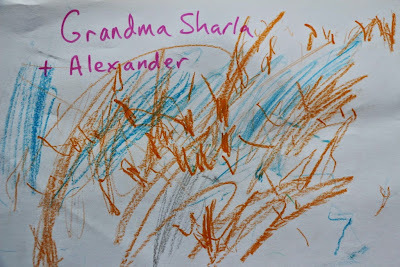 May all your dragons be easily defeated today. 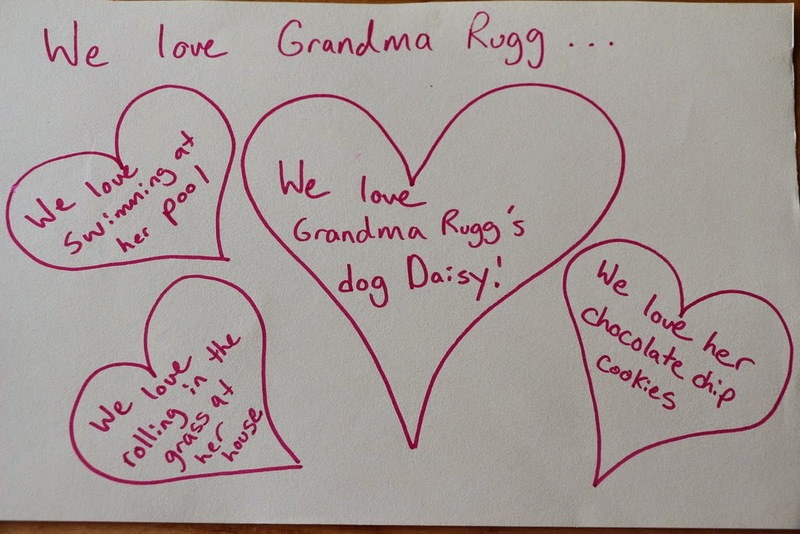 We all love you very much and wish we could be there to hug you in person.